It's time to release FINRA and state disclosures to the public, according to a recent study by PIABA, which cites FINRAs BrokerCheck as deleting critical information for investors. Investors who rely on the BrokerCheck disclosure system maintained by the Financial Industry Regulatory Authority (FINRA) to check out the background of their current or potential stockbrokers are not getting access to crucial information about financial professionals even though such information is available from many state securities agencies operating under robust public record laws, according to a new analysis from the Public Investors Arbitration Bar Association (PIABA). 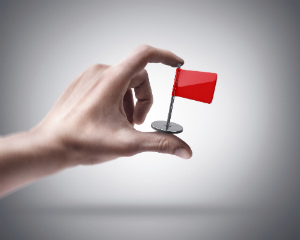 PIABA is warning that the extent of omitted “red flag” background information is so serious that unwitting investors relying on BrokerCheck may very well select brokers with whom they would not do business if they had access to the more complete picture available to FINRA but now being hidden. Available at http://www.piaba.org, the PIABA analysis find that FINRA has elected to provide limited information about brokers even in the face of calls for fuller disclosure from the Securities and Exchange Commission (SEC), state securities regulators, consumer groups, and other organizations. The PIABA analysis makes clear that the only way for the BrokerCheck system to function as intended to educate and protect investors is to require that FINRA disclosures be made consistent with the more complete reporting provided by state securities agencies. “Investors go to BrokerCheck to get information about their broker. They should not have to then follow-up with their state securities regulator to possibly obtain additional, relevant information about that broker that is already in FINRA’s possession. They should be able to get all of the relevant information from one central location,” said Christine Lazaro, director of the Securities Arbitration Clinic, St. John’s University School of Law. * When a broker-dealer fired a registered broker, BrokerCheck reports excluded the reason for the termination and other commentary regarding the termination, although this information is available from states. * Information about whether a broker was ever under internal review “for fraud or wrongful taking of property, or violating investment-related statutes, regulations, rules or industry standards of conduct” is not reported by BrokerCheck, but is disclosed by states. * A personal bankruptcy filed by a broker is not reported by BrokerCheck, but is revealed in state reports. * A federal tax lien filed against a broker in excess of $100,000 is not disclosed by BrokerCheck, but is disclosed in state reports. * Information about failed tests for industry qualification examinations is not disclosed through BrokerCheck, which does not reveal the scores achieved and the number of times a broker failed such tests. It only shows which exams were passed but not the score or how many times a broker may have failed before finally passing. State reports do include this more detailed information. FINRA maintains the Central Registration Depository (CRD) database on its behalf and on behalf of state securities agencies, which means that BrokerCheck and the states draw on the same pool of information. FINRA promotes BrokerCheck as a major resource for investors. States also make available information from CRD records, but have not generally invested the same kind of time and effort in publicizing the availability of the often more complete information. The report makes the point that it is important that investors have access to the information about termination, bankruptcies and tax liens, industry exam failures and whether a broker was ever under internal review as they would impact the decision-making process of who an investor hires to manage their life savings. In the case of a termination, if an investor reviewed the BrokerCheck report, they may be misled into believing a broker left a firm on amicable grounds since the report does not include the reportable facts and circumstances under which the broker left the firm. In the case of a bankruptcy or tax lien, a reasonable investor would have good reason not to engage or hire a broker who has demonstrated that he or she cannot properly manage their own finances. In the case of industry exams, BrokerCheck only shows which exams a broker has passed but not if a broker failed an exam prior to that. An investor may believe that this type of information speaks to the basic competency of their broker. Additionally, it is unimaginable that any reasonable investor would not want or need to know the answer to this question: ‘Currently is, or at termination was, the individual under internal review for fraud or wrongful taking of property, or violating investment-related statutes, regulations, rules or industry standards of conduct?’ Yet, this information is only publicly available from some state regulators, not from BrokerCheck. FINRA maintains the qualification, employment and disclosure histories of 5100 broker/dealers and approximately 660,000 of their securities employees in the electronic CRD system. FINRA and the North American Securities Administrators Association (NASAA) established the CRD system in 1981. For each associated person licensed by FINRA, the CRD system contains disclosure information with respect to the associated person having been named in a criminal matter, having been the subject of a regulatory disciplinary action, having been the subject of a civil judicial action, and having been the subject of an investor arbitration proceeding.